How wonderful the singing is! How graceful the dances are! 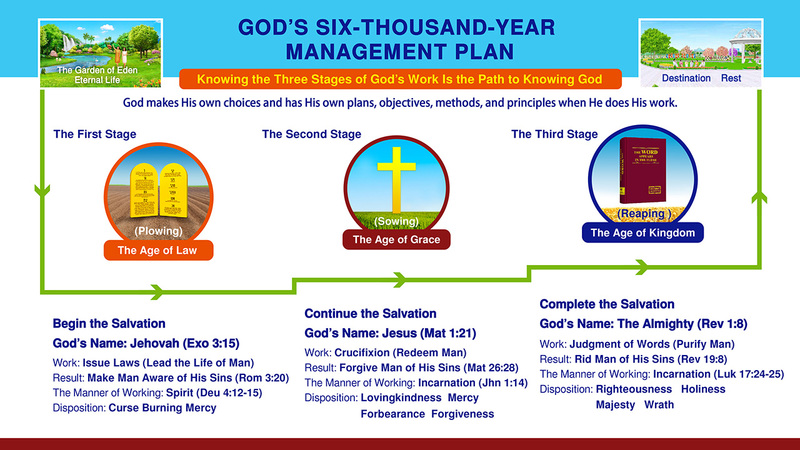 God’s chosen people of the Church of Almighty God are praising the accomplishment of God’s six-thousand-year management plan, the work of saving all mankind! This entry was posted in Articles, Kingdom Songs of Praise and tagged new work, second coming of Jesus, significance, the holy spirit on 2016-07-15 by summer sunshine. This entry was posted in Articles, Church Choir, Kingdom Songs of Praise, Videos and tagged Almightiness, chorus, God’s word, save man, Tai Chi Dance, the last days on 2016-06-09 by summer sunshine. 1. This time, God comes to do work not in a spiritual body but in a very ordinary, very ordinary one. Not only is it the body of God’s second incarnation, but also the body in which God returns. It is very ordinary flesh. In Him, you cannot see anything that is different from others, but you can receive from Him the truths you have never heard before, receive from Him the truths you have never heard before. This insignificant flesh is the embodiment of all the words of truth from God, that which undertakes God’s work in the last days, and an expression of the whole of God’s disposition for man to come to know. Did you not desire greatly to see the God in heaven? Did you not desire greatly to understand the God in heaven? Did you not desire greatly to see the destination of mankind? He will tell you all these secrets that no one can ever tell you, and He will even tell you of, tell you of the truths that you do not understand. He is your gate into the kingdom, and your guide into the new age. 2. Such an ordinary flesh holds many unfathomable mysteries. His deeds may be inscrutable to you, may be inscrutable to you, but the goals of the work He does are sufficient for you to see that He is not, is not a simple flesh as man believes, as man believes. For He represents the will of God as well as the care shown by God toward mankind in the last days. For He represents the will of God as well as the care shown by God toward mankind in the last days. Though you cannot hear the words He speaks that seemingly shake the heavens and earth or see His eyes like blazing flames, and though you cannot feel the discipline of His iron rod, you can hear from His words the fury of God and know that God shows compassion for mankind; you can see the righteous disposition of God and His wisdom, and moreover, realize the concern and care that God has for all mankind. 3. The work of God in the last days is to allow man to see the God in heaven, see the God in heaven live among men on earth, and to enable man to come to know, obey, revere, and love God. This is why He has returned to flesh for a second time. Though what man sees this day is a God that is the same as man, a God with a nose and two eyes: an unremarkable God, in the end God will show you that without the existence of this man, the heaven and earth will undergo a tremendous change; the heaven will grow dim, the earth will become chaos, and all mankind will live in famine and plagues. 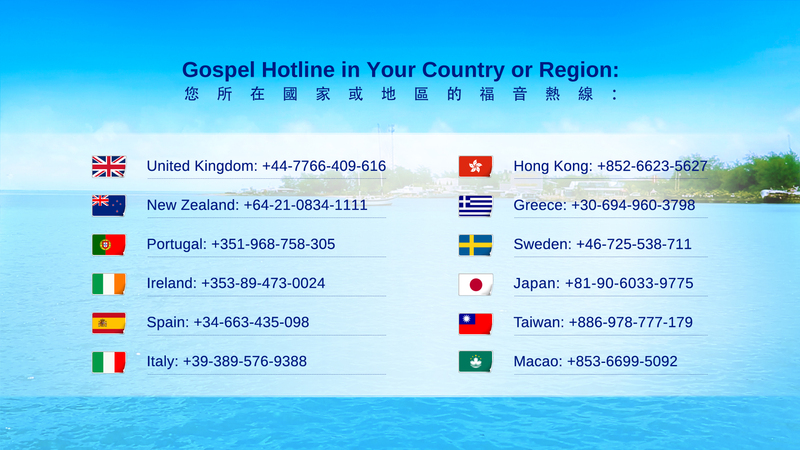 He will show you that without the salvation, salvation of God incarnate in the last days, then God would have long ago destroyed all mankind, destroyed all mankind in hell; without the existence of this flesh, then you would forever be chief of sinners and corpses evermore. 4. 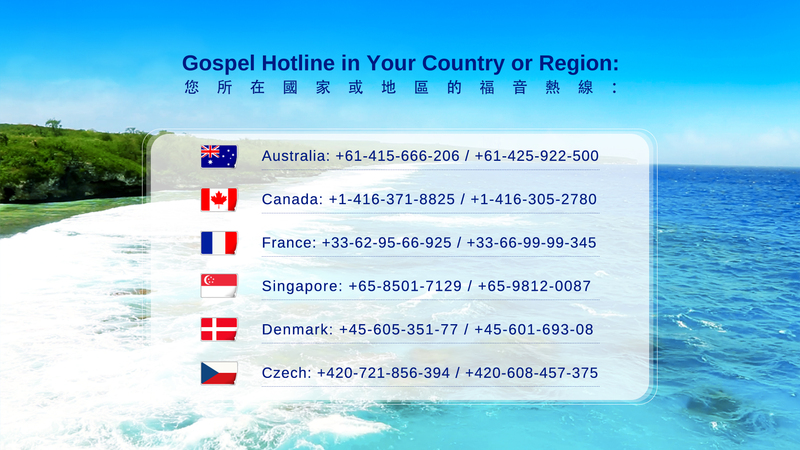 You should know that without the existence of this flesh, all mankind would face an inevitable calamity and find it difficult to escape, escape God’s more severe punishment of mankind in the last days. Without the birth of this ordinary flesh, you would all be in a state where neither life nor death will come no matter how you seek it; without the existence of this flesh, then this day you would not be able to receive the truth and come before the throne of God. Rather, you would be punished by God because of, because of your grievous sins. Rather, you would be punished by God because of your grievous sins. Do you know? If not for the return of God to the flesh, none would have a chance at salvation; and if not for the coming of this flesh, God would have long ago ended the age of old. As such, can you still reject the second incarnation of God? Since you can so greatly profit from this ordinary man, then why would you not accept Him readily? 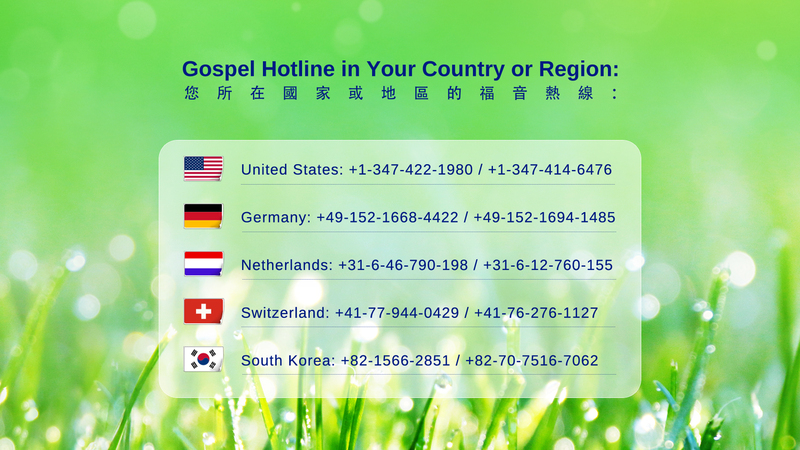 This entry was posted in Articles, Church Choir, Kingdom Songs of Praise, Single Tracks and tagged gospel music, kingdom of heaven, new age, practical God, Praise and worship, the gate on 2016-05-10 by summer sunshine. This entry was posted in Articles, Church Choir, Kingdom Songs of Praise and tagged Almighty God, Best Love, Christ Is God, Heart of God, Incarnate, kingdom of heaven, live forever, music 2016, Salvation, savior, true God on 2016-03-24 by summer sunshine. The Millennial Kingdom has come. We declare to the entire universe: God’s work has been accomplished! The only true God has appeared, God has uttered his voice to us. The fact God has accomplished is unchanging! God has chosen us as his people. This is unchanging! We’re in one accord with God on earth, becoming his manifestation. The Millennial Kingdom has come. We’ve seen it. Everywhere is severe famine, forcing people to seek. God’s work is spreading, conquering people in the whole earth. All nations, peoples, denominations, sects return to God. The kingdom is infinitely promising, presenting a lively scene. All nations and peoples seek the true way, coming before the righteous God. They acknowledge with mouth, believe in heart, bow down and worship. The greatest and most honored Almighty has appeared in the East. The Millennial Kingdom has come. This is God’s ultimate will. All great and wonderful mysteries have been revealed in the kingdom. God’s word is filling the universe. The Word has appeared in the flesh. The incarnated God Godself is reigning in the entire universe. We can’t help cheering, can’t help singing. The spring of living water is watering us, nourishing us. The last generation God has perfected, facing the entire universe, declares to the whole universe: God’s work has been accomplished! We can’t help cheering, can’t help singing. The spring of living water is watering us, nourishing us. The last generation God has perfected, facing the entire universe, declares to the whole universe: God’s work has been accomplished! This entry was posted in Kingdom Songs of Praise and tagged Almighty God, Beautiful ., God’s word, happy life, kindness, life changing on 2015-11-27 by summer sunshine. This entry was posted in Kingdom Songs of Praise and tagged Almighty God, Beautiful ., christian song, end times, God’s Purpose, God’s word, gospel hymns, Jesus’ Return, Millennial Kingdom, Praise, Songs of Praise, youtube gospel music on 2015-11-27 by summer sunshine. This entry was posted in Kingdom Songs of Praise and tagged harmony, hymnals, Hymns, joy, lyrics, psalms, sing together, song, song of heaven, spiritual songs, voice of nature on 2015-11-27 by summer sunshine.